The Kingsbury experience will be a personalized, respectful one where patrons will be treated like royalty in keeping with the promise of bringing back ‘good-old fashioned’ hospitality. 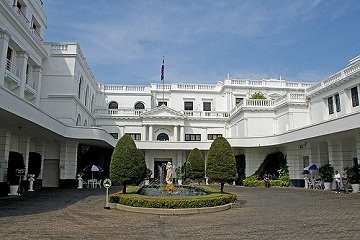 The hotel was the first five-star hotel to be built in Sri Lanka. Guests can leisurely soak in the infinity pool overlooking the ocean, and make use of the 24-hour butler service. A tranquil retreat perched on hills, Heritance Kandalama offers panoramic views of the Sigiriya Rocks. To enjoy Sri Lanka’s breathtaking natural landscapes, the hotel offers various excursions like mountain cycling excursions and lake safaris. Boasting a spectacular architecture, this unique design hotel provides 3 impressive pools and exotic activities like bird watching. This tranquil resort rests in the heart of a southern beach in Sri Lanka. 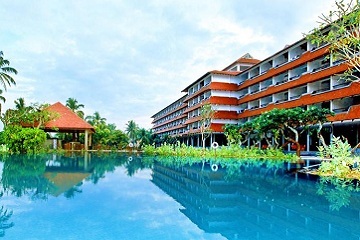 This hotel is within a 10 min walk of International Diving Center and Hikkaduwa Coral Reef. The beautiful Hikkaduwa Beach offers abundant water activities with one of the most thrilling being a ride in the glass-bottom boat safari, where you can witness the amazing corals and marine life. With its rich, multiethnic background as a merchant, Jetwing Lighthouse boasts its perfect location embracing a rugged outcrop along the coastline just before the city center. Jetwing Lighthouse sits atop a hillock overlooking the blue waters of the Indian Ocean in the picturesque port of Galle, which reflects a strong Dutch colonial influence. 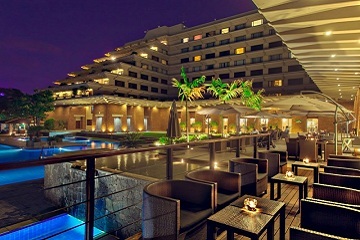 Strategically located in the heart of the city, this 5-star hotel makes for an excellent base in Colombo. 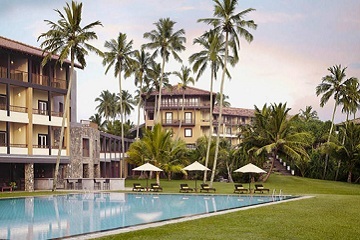 Galadari Hotel that overlooks the vast Indian Ocean provides guests with a range of rooms and suites along with a very comprehensive list of facilities to enjoy their stay in Sri Lanka. 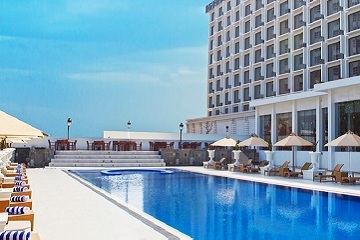 The Galadari Hotel offers you a number of 450 rooms with elegance and awe. 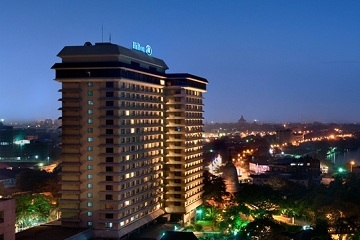 Hilton Colombo, a luxury Sri Lanka hotel is located right next to Colombo World Trade Center. Choose from an extensive selection of venues that includes six meeting rooms, seven function rooms, and the Grand Ballroom. Exercise in the 90-ft outdoor swimming pool, or on the hotel squash court. The rooms are spacious and modern. 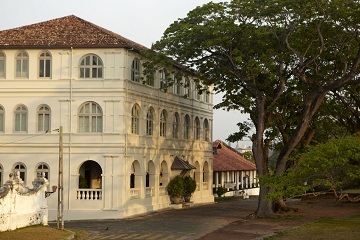 Located on Mount Lavinia Beach, this hotel is one of the oldest hotels in Sri Lanka. Boasting a private beach area and a terrace with views of the bay and Colombo’s skyline, Mount Lavinia Hotel offers a relaxing getaway. Guests can visit the beachfront CocoSpa for a massage, or relax in the outdoor pool. A gym and game room are available. 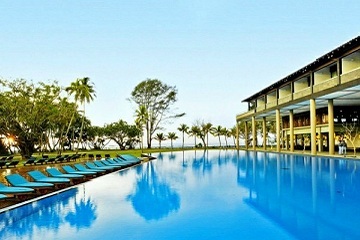 Cinnamon Bey Beruwala is one of the largest resorts along the southern coastline. Luxury and comfort bundled together by the edge of the ocean, Cinnamon Bey in Beruwala is an excellent holiday destination for a relaxed and pampered beach holiday. 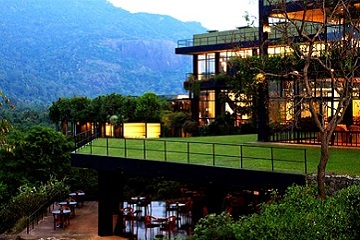 This hotel is Green Globe-Certified, also housing ISO 14,000, 18,000 and 22,000 certifications. 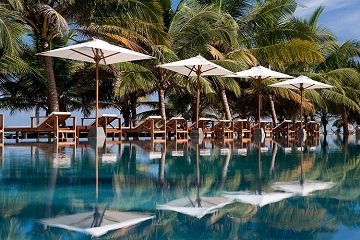 Sitting on the bronzed sand of Negombo Beach, 5-star Jetwing Blue Resort boasts 2 spectacular outdoor pools, a spa and 2 dining restaurants. Dining options at Jetwing Blue are many and varied, with each meal a gastronomical delight which will tantalize your taste buds. Available for guests is a conference and banquet hall for special occasions and corporate events. 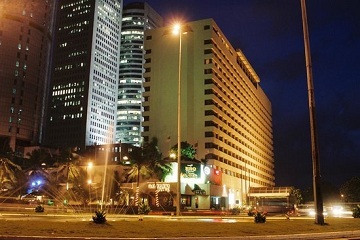 This family-friendly Colombo hotel is located on the waterfront, within a 15-minute walk of Colombo World Trade Center. Cinnamon Lakeside is the perfect way to escape within the city and find the luxuries of resort life. Their attention to detail embodies the best of Sri Lankan hospitality with a touch of class, creativity. 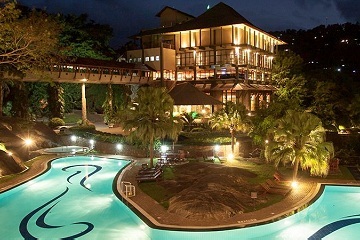 A premier five star getaway among luxury hotels Sri Lanka, located in the heart of the island’s cultural capital, Kandy. Overlooking Mahaweli River and mountain ranges, Earl's Regency Hotel is a perfect hideaway to enjoy your holidays in the hills and visit numerous historical and cultural sites in and around Kandy. Located in the heart of Sigiriya, this luxury resort is 0.9 min from Sigiriya Museum. 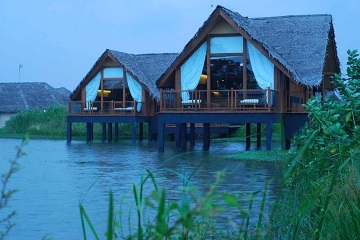 Jetwing Vil Uyana was built within wetland system with lakes and reed beds with rooms which have been placed within the paddy fields itself. Along with 2 restaurants, this resort has a full-service spa, fitness center, bar, massage rooms and an outdoor pool.